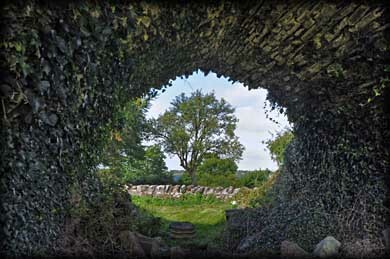 Delightfully situated on the western side of Lough Ree, Saint's Island can be reached via a series of winding country roads and a narrow 1 kilometre long causeway that now connects the island. If you have a desire to get away from the more touristy sites that Ireland has to offer, then we suggest you take a trip to this remote, peaceful location. 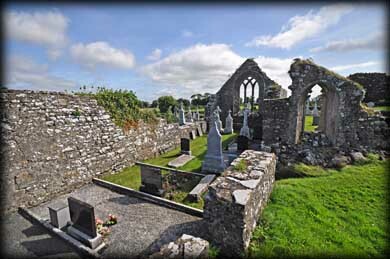 The first monastery on the island was built in the 6th century by St Ciarán, who later founded the monastery at Clonmacnoise. He appointed St Domnan as the Abbot before leaving the island. In 1089 the island was plundered by Murkertach O'Brien and the Danes. 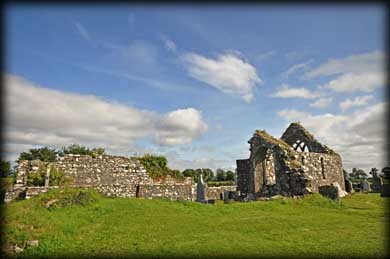 The present Augustinian Priory of All Saints was built some time before 1244 by Sir Henry Dillon, of Drumrany, on the site of the previous abbey. 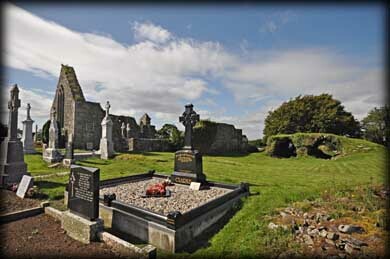 The priory stands in the northwest half of an oval shaped graveyard. 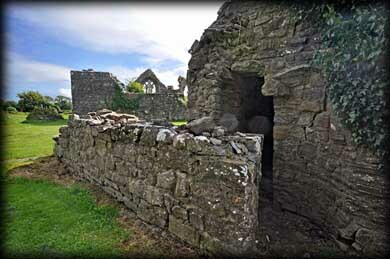 The enclosing walls probably define the size and shape of of the early ecclesiastical enclosure. What remains today is the ruin of a 13th century church that was rebuilt in the 15th century, a much destroyed cloister and the remains of some of the domestic buildings. Inserted into the east gable of the church is a 15th century triple-light window. Located in the south wall is a double piscina and an aumbry. Built into the west end of the enclosure wall is a square shaped garderobe tower. Northwest of the church there are two barrel vaulted chambers that formed part of an origin two storey building with three chambers. This is a simple yet beautiful location. Situated: From Ballymahon head north on the R392 for 5K. Turn left Newtowncashel. Then after 2K turn right at T-junction. 3.5 K turn left. Follow signs for 6 kilometres. Discovery Map 40: N 0707 5610. Last visit Sept 2012.